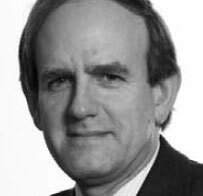 T.J. Hall worked as a research scientist in the UK before joining the Commission services in 1983, becoming Head of Unit for S&T Cooperation with Developing Countries in 1994. He has also headed units in the Quality of Life Directorate under FP5 and in the Health Directorate under FP6. His current position (since October 2006) is Head of Unit for Agriculture, Forestry, Fisheries and Aquaculture with primary responsibilities for overseeing the management of projects in these areas supported under FP6, and implementing the Activity "Sustainable production and management of biological resources from land, forest and aquatic environments" in the FP7 Theme "Food, Agriculture and Fisheries, and Biotechnology". Since 1 September 2007, he also holds the position of Acting Director for Biotechnologies, Agriculture and Food.